What a great addition for your Christmas brunch! Please enjoy this special treat from my home state of Minnesota. In a medium sized saucepan, place 1 cup rinsed wild rice and 3 cups water, and bring to boil. Reduce heat to medium and cook rice until it is tender. Hand harvested wild rice will take about 20‐30 minutes. Stir a few times during cooking. You should have about 3‐3 ½ cups cooked rice. If there is water left over, drain off excess. Add the almond milk and maple syrup to pan, and heat on medium. Add the dried fruit and nuts. Serve with extra almond milk and maple syrup on side if preferred. This can be made the night before, but add the fruit and nuts before serving. You can also use a crock‐pot. 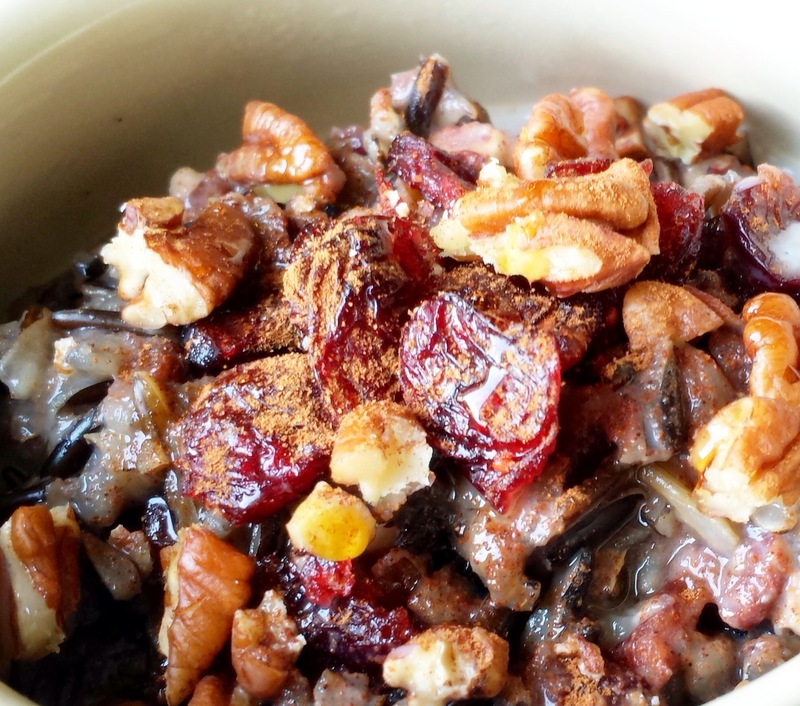 Place all ingredients (rice should be cooked) except for the dried fruit and nuts in pot. Heat on low for up to 4 hours. Rice will become softer, and will absorb more of the milk, so more milk may be needed. Add the fruit and nuts on side. You can use leftover cooked wild rice in this recipe. Place rice and almond milk in pan, heat gently until warmed through. More almond milk may be needed. ‐leave in the maple syrup for a delicious sweet and savory moment!